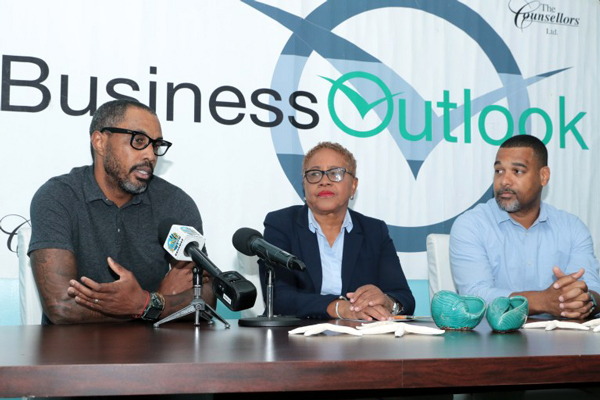 From left: John Cox, founder of Popop Studios and Creative Arts Director at Baha Mar; Joan Albury, president of The Counsellors Limited and chief organizer of Bahamas Business Outlook (BBO) and Marcus Laing, architect and BEAAP Secretary speak at a press conference to announce the 28th Annual BBO conference set for Thursday, January 17. 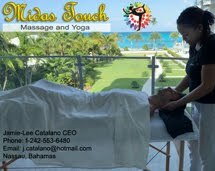 NASSAU, BAHAMAS – Bahamas Business Outlook (BBO), the country’s premier economic conference, will feature an impressive list of speakers addressing issues which have dominated national headlines in recent months. Organizers say that the goal of each presenter is to move these national conversations forward, revealing solutions and plans that will shape the Bahamian economy for 2019 and beyond.